Our g4g Makerspace events are all about creativity, engineering, and design... while simply having fun! To do so, we invite 20 girls and boys aged 9-14 to our headquarters in Brussels once a month on a Saturday morning. It's the perfect opportunity to explore a new theme & make all the science behind "making" come to life! Parents are most welcome to join the fun, too. Our makerspaces are usually held the last Saturday of each month, between 9 AM and 12:30 PM. Each individual session will cost 40 euro per child. If you decide to join us for the whole series of 3 makerspaces, we will provide you with a discount! Get ready to reflect and refract as we invite you to our Spring Makerspace! Join us as we break apart light, discover prisms, hidden colours and combine it with physical science, color explosions, mathematics, while applying problem solving, creative and design skills. Cherry on the top, kids will build their very own, take home looking glass! Ecosystems and biology and insect hotels, oh my! Get “buzzing” to engineer your own biotope and discover all about the greenhouse effect with a twist… and take home your own terrarium and plant hotel just in time for the summer! In our December Makerspace, we made the most out of innovation, smart homes, and… gingerbread! Each student had the chance to make their own edible home, full of sustainability inventions and creative thinking! In this mischievous, 7th Makerspace, we used our few bewitching hours to apply robotics to our vision of our future smart homes. 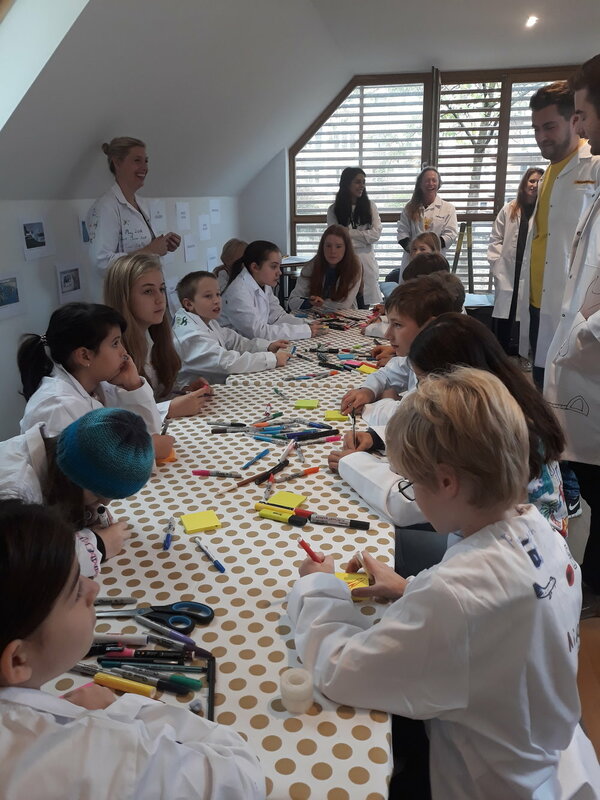 Thanks to the wonderful Stanley Black & Decker's help, 30 kids got the opportunity to visit our atelier and design the homes of tomorrow. Using their trusty glue guns and some coding skills they came up with pretty innovative solutions to today’s problems! You can find the photo album of this event here! 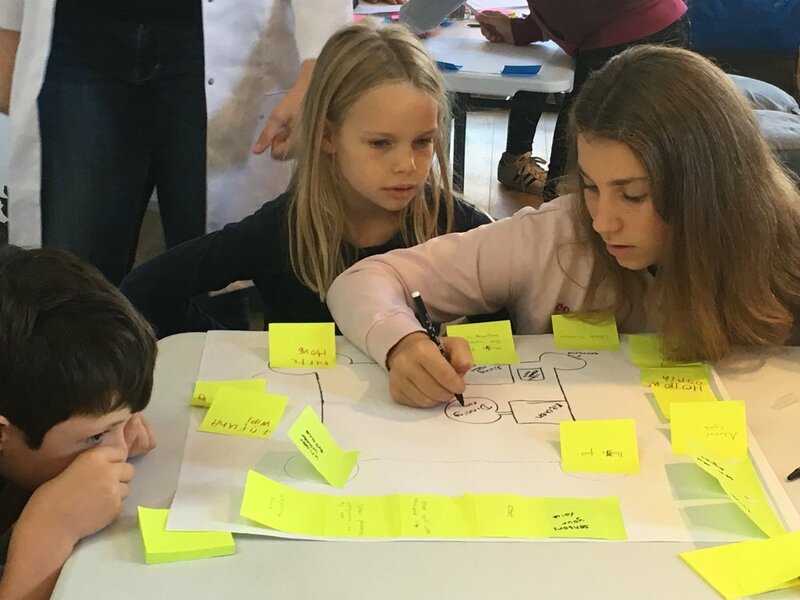 For our 6th Makerspace, kids go to think about what the future of homes could be… After designing and drawing their ideas for an improved future, they brought them to life by building models of their inventions using microbits. Ideas were plentiful and we can’t wait to see if the homes of 2030 will have any walls that move to face the sun, fold able walls, underwater features, detachable rooms, scanning fridge...If we believe in the inventors who joined us last week, you can count on them! Click here to see the photo album! In this 5th edition we elevated the makerspace to new levels... and built rockets and planes! We learned about water and about rockets in a fun way, before building our very own water rockets and get them airborne using water pressure. Check out our photo album here! At our fourth #g4gmakerspace, we combined two things we love: science and food! 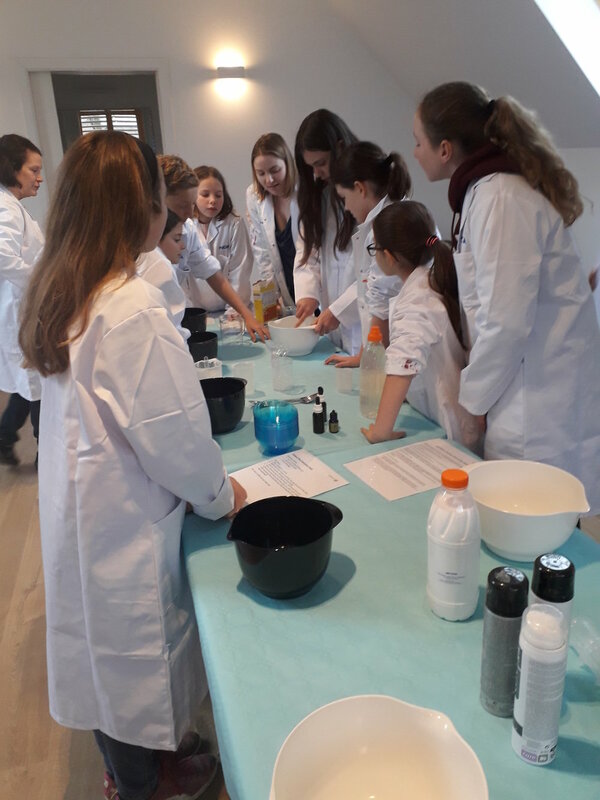 We made a few delicious recipes and reflected about them on a molecular level: volcanic cupcakes, molecular mousse, dry ice ice cream and spherication of honey, ketchup and raspberry. Click here to see the photo album! Our third #g4gmakerspace was all about robots and racing. We made bristlebots and scribblebots while learning about circuits and experienced first hand how they work in practice. After creating amazing designs, we had our bots race against each other! Click here if you want to see the photo album. Click on the "instructions" button if you want to try it again at home! The theme of our second edition of #g4gmakerspace was Slime meets Design. We experimented by making slime, "Non-Newtonian" fluid, and putty; group ideating as we figured out how to apply these fun & funky materials into everyday needs, and finally prototyping our idea into life! Curious? Click here to see the photo album. Want to try it again at home? Click on our slime recipes!! In our very first #g4gmakerspace, we showed the link between science, technology and engineering by exploring circuitry. The kids had a chance to tinker their very own LED creation using batteries, conductive thread, and colourful fun felt - all the while learning to perfect sewing techniques & electrical circuits! Want to see some more of the beautiful creations the kids made? Click here for some pictures!